The Men of Steel will be up against the I-League champions at a familiar ground on Monday. 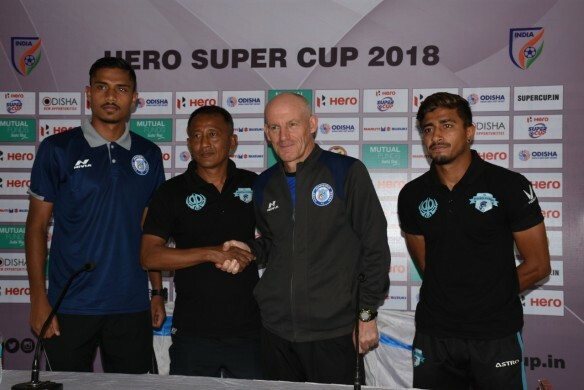 Jamshedpur FC who will come out tomorrow to face reigning Hero I-League champions Minerva Punjab FC at their 'second home' are taking the tie 'very seriously' with a strong intent to proceed further in the competition. Jamshedpur FC who had played a match at the Kalinga Stadium in Bhubaneswar will hope the ground to stand behind them when they clash with the Punjab-based outfit tomorrow (April 2, 2018). Gaffer Steve Coppell commented, "We are taking tomorrow's match very seriously. We want to go as further as we can in the tournament. When twenty professional teams are fighting against each other to prove themselves, it's going to fierce and intense. We are also here with the same intent and we are expecting nothing less than a taxing journey ahead." Nonetheless, he showed immense respect for his counterparts who are coming at the back of bringing the Hero I-League trophy to the northern part of the country after a prolonged gap of 21 years. "We have great respect for the team. I watched a few I-League games on television and realized how competitive and tough the league is. Moreover, Minerva Punjab FC are the champions and it is going to be very tough for us." Sumit Passi who had a tough time owing to his injury is back into the shape after a long injury lay off and now he's determined to prove his worth, should the coach provide him with an opportunity. "It was very tough time for me. I had to stay 11 months out for the injury. But now I've recovered and ready to give it a shot. I have played a couple of matches in the ISL also. If our coach throws me in, I'll grab the opportunity with both hands", Passi mentioned. 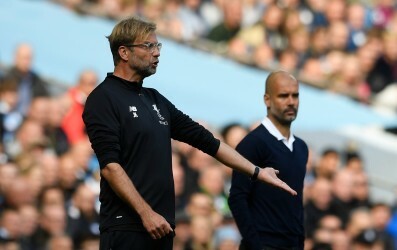 On being asked how a knock-out tournament differs from a league competition, the coach responded, "A cup competition is always different from the league. You play one bad game and you're out of the tournament." "It's something like Poker. If you don't have a strong hand, you can't play. Moreover, if you don't execute well, you are out", Coppell quipped. Red-hot Minerva Punjab FC have grown from strength to strength to lift their maiden Hero I-League trophy one month back. Khogen Singh pointed it out that the first match is always tough but they are confident to get the job done. "The first match of any tournament is always important. It's going to be our first competitive match after winning the league. We have worked on our mental strength to win the league eventually." "We believe that we can win tomorrow as well. We are looking positively to go further in the tournament. You know, the game of football is very unpredictable and we have to keep our heads down and continue the job on the field", Singh added. 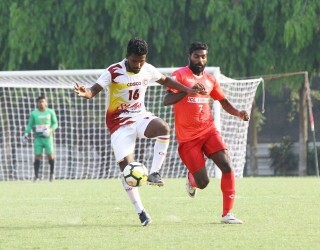 Khogen Singh stressed on the mental strength and the strong belief which help the team to overcome any huddle, "We always prefer to take one game at a time. We don't see any reason to change our philosophy now. Mental strength is very important and we strongly believe that we can achieve it." Girik Khosla, the young striker who chipped in a few crucial goals in their way to secure important wins in the Hero I-League reiterated that a strong winning mentality is reverberating around in the Minerva Punjab FC dressing room and it will help them overcome Jamshedpur FC tomorrow. "We will think nothing less than a win when we hit the pitch tomorrow. We have lived our dream and now a different sort of challenge awaits us. Obviously, it'll be the icing on the cake for me if I score a goal but overall it'll be our team effort to attain the target", Khosla commented. The match is scheduled at 8 PM and it'll be aired on Star Sports 2/2 HD/1 Tamil and Hotstar and Jio TV.